Is there a moment in your life that you'd like to do over? A bad first date? A vacation gone wrong? Do you sometimes wish there was a rewind button that you could push? When my husband and I began dating, we started cooking together for our dates. I invited him to my house where I cooked him Teriyaki Chicken. I chose this recipe because he had lived in Japan for a couple of years and this was a recipe my father got from a Japanese friend. My date gobbled up every bite and asked for the recipe. My dad was in the room and overheard his request. "Sorry, I can't give you the recipe. I had to pay for the recipe as it was a 'family recipe.' You'll either have to pay for it or marry her (pointing to me) for it." Fast forward a year. We did get married and began our lives as full time students. I wanted to make Teriyaki chicken, but didn't want to wait the entire hour for the chicken to cook. I had a great idea: cook it in the microwave. Surely I could save some time, right? I had no idea how long chicken would take in the microwave, so I guessed 20 minutes. That would be enough time, right? The rice takes 20 minutes and would be done at the same time as the chicken. I spooned the cooked chicken over the rice. My husband took a few bites. I spit out the first bite. It tasted awful! It was burnt, leaving a horrible taste in my mouth. My husband, too polite to say anything, kept eating, looking down at his plate. "Doesn't this taste burnt?" I asked. "I didn't want to hurt your feelings." He turned his gaze from the burnt chicken and looked into my eyes. Putting down his fork, he said five magic words: "Let's go out to eat." 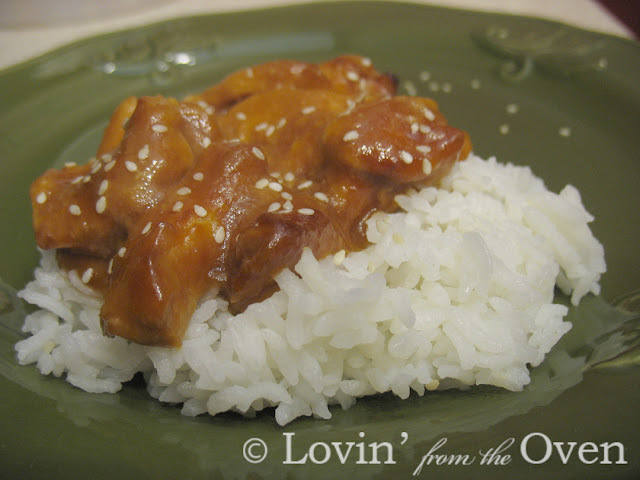 I have made Teriyaki Chicken countless times over the years, but only in the oven. Our 25th anniversary is coming up and I needed a do-over for this recipe ~ during the summer, I don't want to turn the oven on, nor wait an hour for chicken to cook. What about cooking it on the grill? I made the Teriyaki sauce, leaving out the cornstarch and using freshly grated ginger. I marinated the chicken in half the sauce, reserving the rest of the marinade for glazing the finished chicken. 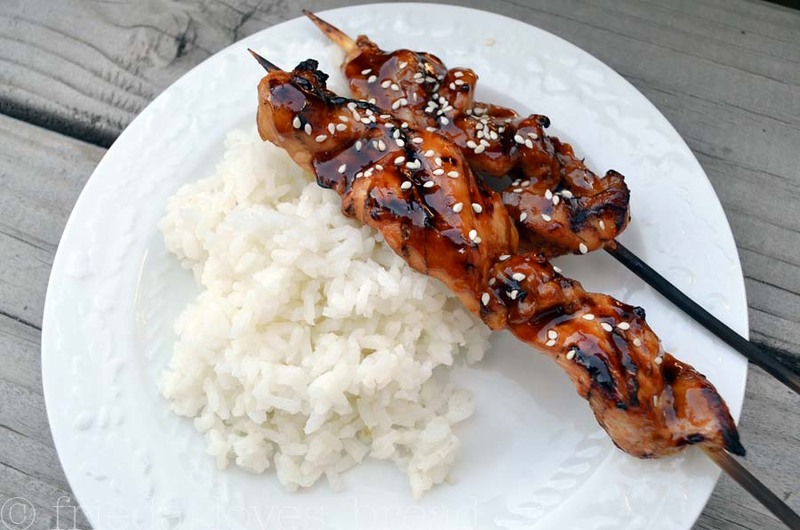 Bamboo skewers were soaked in water for about 30 minutes and grilled on a hot grill for 15-20 minutes, turning the chicken every 5 minutes. 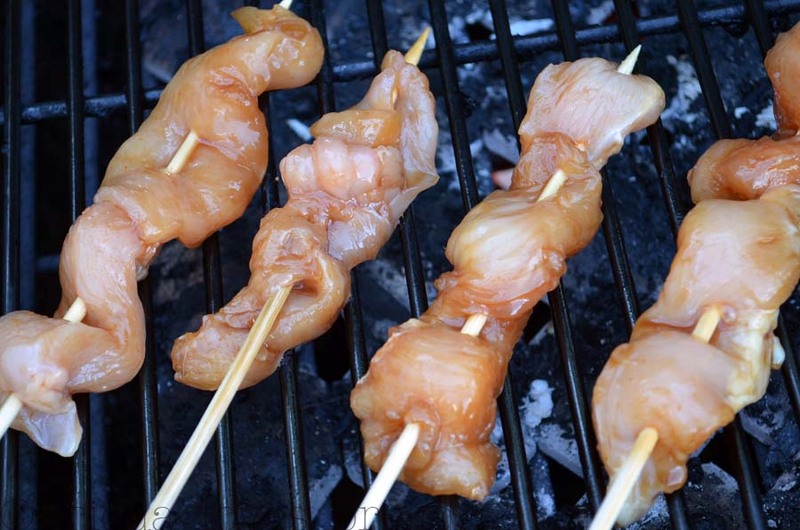 Grilling caramelizes the sauce, giving a whole 'nother dimension to this chicken! This chicken has a deep and robust flavor and doesn't need a lot of sauce. The fresh ginger brings makes a big difference in aroma and taste. "We have a winner!" and gave me a kiss. This post was sponsored by Frigidaire. When you share your own do-over moment at Facebook.com/Frigidaire, Frigidaire will donate $1 to Save the Children's U.S. programs. Plus, Frigidaire will help cover the costs for one lucky visitor to win the ultimate do-over. I can't wait to make the chicken and I loved the story! Happy anniversary! Your hubby sounds like a great guy. This recipe looks simple and yummy. On my to try list. Thanks Frieda!